﻿ Е. Anastasova (Sofia). 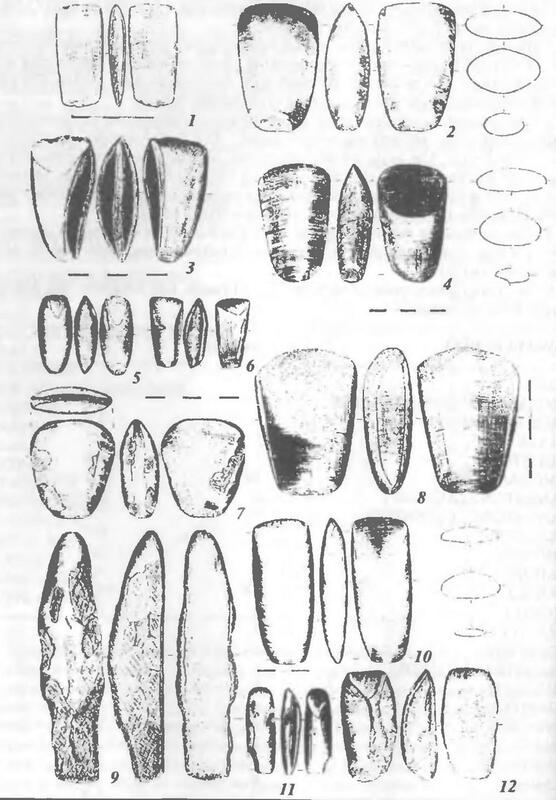 The stones ensembles from the early neolithic settlement Galabnik, near by Pernik, SW Bulgarian. под ред. Е.В.Ярового.Древнейшие общности земледельцев и скотоводов Северного Причерноморья (V тыс. до н.э. - V век н.э.). The early Neolithic settlement Galabnik has been discovered near Bobovdol, in the district of Pernik. A team of Museum of History, Pernik, is carrying out the excavation works. Two ensembles of polished stones artifacts have been taken out. The first ensemble consists of 65 artifacts from Galabnic I phase (from 1 to 7 archaeological horizons). The second ensemble comprises 153 artifacts from Galabnik II phase (from 8 to 10 archaeological horizons) (Anastasova, E., in press). An open typological list has been devised to meet the aims of the typological analysis; based on already familiar lists (Детев, 1960; Кънчев, Мерперт, 1979,162-171; Pier-Desruisseeaux, 1992). The artifacts have been also subjected to a member of other analyses: morph-metrical, petrographical. 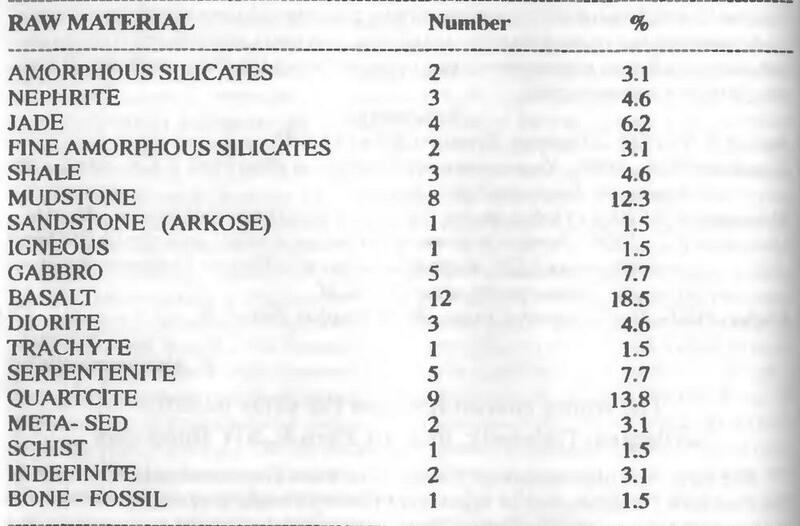 All basic types of implements are present (hammer-stones, grindstones, adzes, chisels, cotters, axes, half-finished forms), the percentage of adzes and axes being the highest (32,3%), followed by that of chisels (10,8%). The detailed analysis of the adzes and the axes shows a great number of adzes with trapezium shape and plan-convex cross section, and axes with trapezium shape and square cross section. 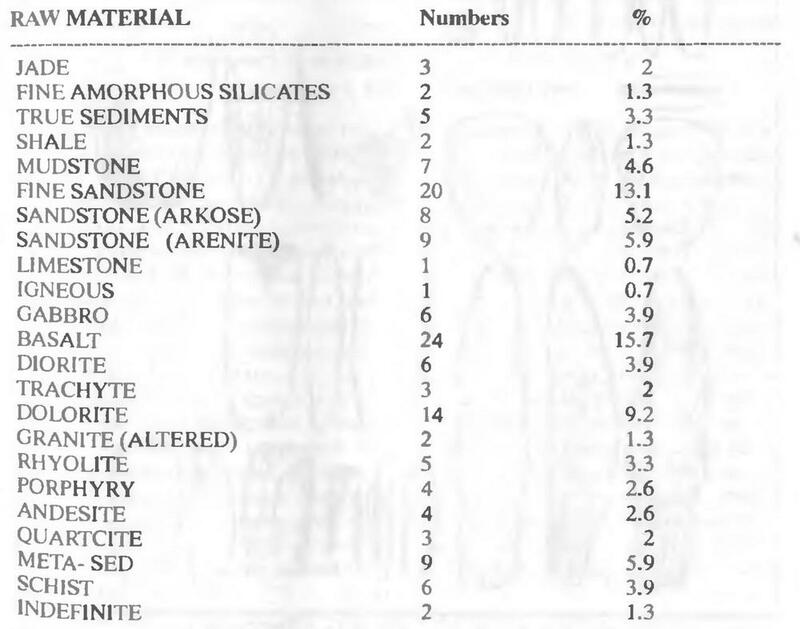 The percentage of hammer-stones made on blunt or fragmented artifacts of other type is also high. The measuring of the length, the width and the thickness of all artifacts showed that with some of the implements certain proportion had been sought, e.g. the adzes and axes have the following proportions: 1:2/3:1/4 and the chisels measure 1:1/2:1/5. The working edge of the most common forms is either concave, or tilted, or straight. The angle between the dorsal and the ventral surfaces measured at the working edge is about 35°-50°. Mr. Jason Fish (GB) conducted the petrographical overview of the ensembles. The analysis was carried out at the macroscopic level only for lack of funds for a more thorough analysis. Certain miscalculations may have been made witch will be corrected when a microscopic analysis of the artifacts is possible. To addition to the content of this ensemble a collective find has been discovered. It is from 6-th archaeological horizon and consists of six artifacts: an adze, an axe, a chisel, a gibe-and-chisel, a grindstone and a half-finished form. The chisel is the most interesting of all (tabl. 1, fig. 1). It is made of fossil bone. The detailed analysis conducted by the French archaeozoologists Dr. J-L. Guadeli and Dr. F. Delpech (IPQG, Bordeaux-1) shows that the implement, which has two working edges, is made of «ostibia» of a large animal and was given the shape of an implement by scraping. Its dorsal surface is darker while its ventral surface is lighter, because to the structure of the bone itself. At both ends of the ventral pattern we can see diagonal traces of polishing which resulted from their scraping against a human hand. The highest percentage of the second ensemble belongs to hammer-stones (23,5%), followed by adzes (21,6%) and axes (16,99%). At the subtype level the hammer-stones with irregular cylindrical shape and those with the shape of a cross-cone with two working edges and polished neighboring surface predominate. The percentage of chisels with plan-convex cross section, and adzes with rectangular shape and plan-convex cross section is high. The morph-metrical analysis made use of the same criteria as the first ensembles. Again dependence of artifacts was sought: adzes - 1:1/3:1/4, chisels -1:1/3:1/3, axes -1:1/2:1/3. The analyzed artifacts of this ensemble bear great similarity to those of the first ensemble. In the former artifacts with a tilted working edge, followed by those used as hammer-stones and grindstones are predominating. The smallest percentage is ascribed to implements with concave working edges. The angles between the dorsal and the ventral surface of the implements measured at the working edge of the different types are as follows: axes, adzes and chisels - between 45° and 50°. From petrographical point of view artifacts of basalt, fine sandstone and dolorite dominate this ensemble. As a conclusion we can say that both ensembles have the typical characteristics of the early neolithic implements of that type in the rest of the Bulgarian Neolithic sites. The small number ot publications of such collections made a detailed comparative analysis impossible. The companrison was based mainly on the author's personal observations of similar implements avilable in the expositions in museums in the country. Моst of the artifacts are fairly blunted (even those of precious stone types) and show traces of multifunctional use?, which presupposes certain «raw material hunger» in the area or difficulties in exchanging those implements and the raw material they were made of.